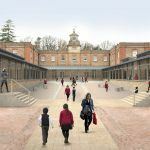 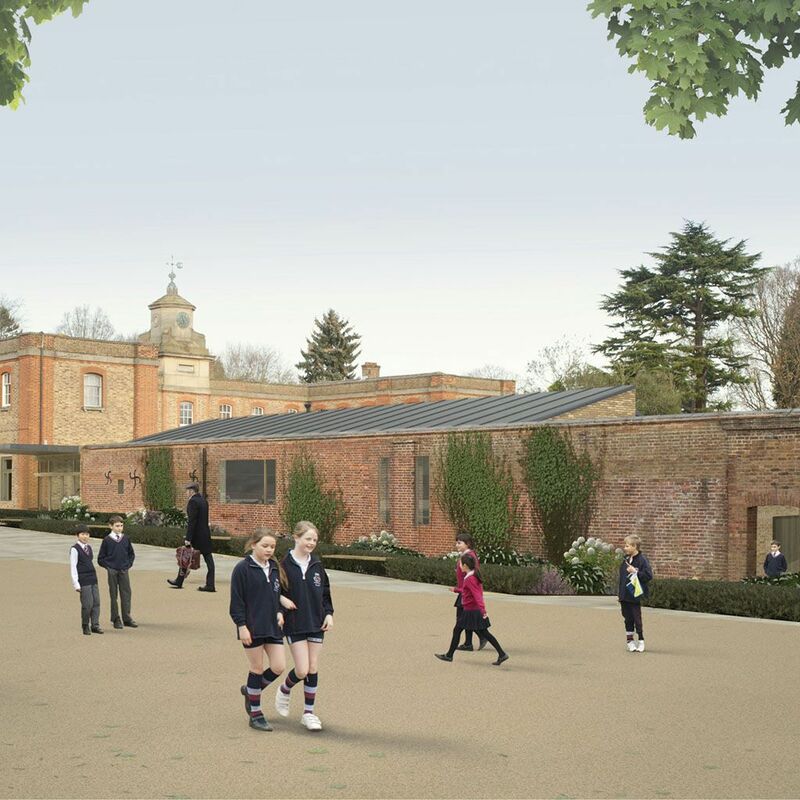 Extension and refurbishment of grade II listed former royal stable building to provide improved classrooms and facilities for middle school Years 3-6. The fully detailed consent is to be delivered as the second phase of our comprehensive development plan for Claremont Fan Court School, Esher. 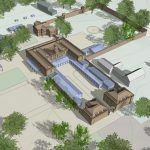 The design includes creation of a new main entrance from the Quad, a new ‘ambulatory’ and classrooms around the refurbished courtyard, and complete refurbishment of the existing building. 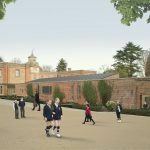 Within Vanbrugh’s adjacent Walled Garden the work includes a new free-standing music pavilion, a new play area and a new landscape scheme.